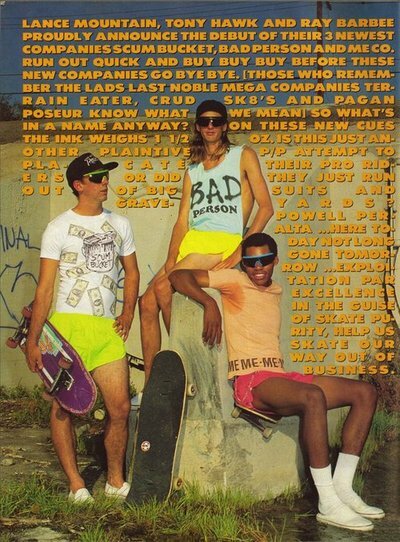 Lance Mountain, Tony Hawk and Ray Barbee Kickin it. Thanks for the background story Meier, the retaliatory ad was even better. Thanks for the link Meier, adding it to the post.